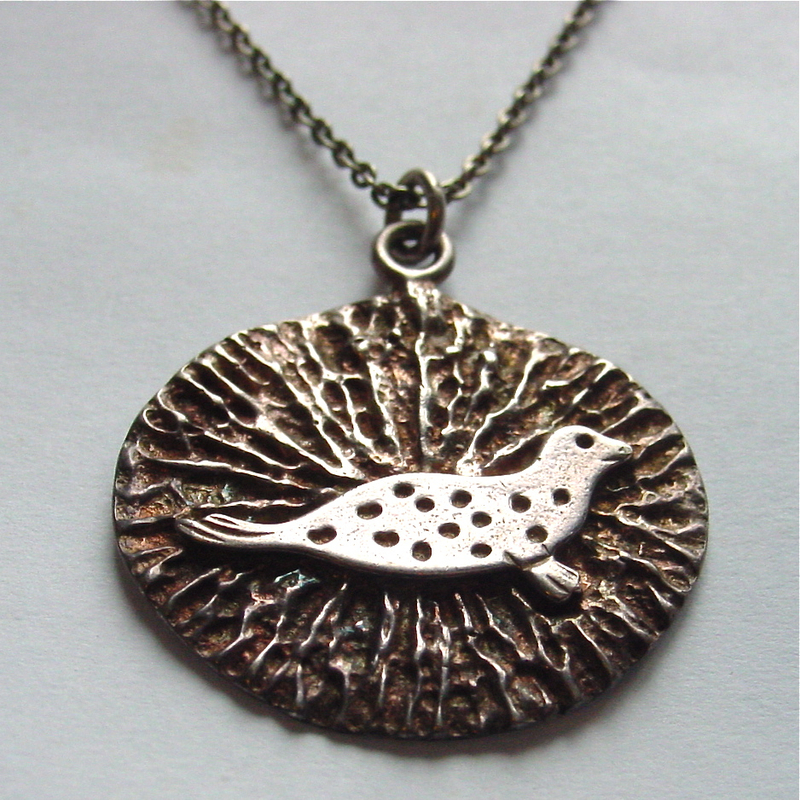 Look at this adorable 830 silver seal pendant. I feel a special bond with seals — perhaps because grandmother’s family is much linked to the sealing industry. In fact, when she was a young girl she worked as a cook on a sealing ship. My Grandmother Riche and I had the same, duck-shaped feet. She told me that, like snowshoes, it was good for running for running across the Labrador snow. Andreas Lautz is a silversmith in Tana in Northern Norway. His designs are influenced by the Sami people which inspired the design of the seal. But wait! 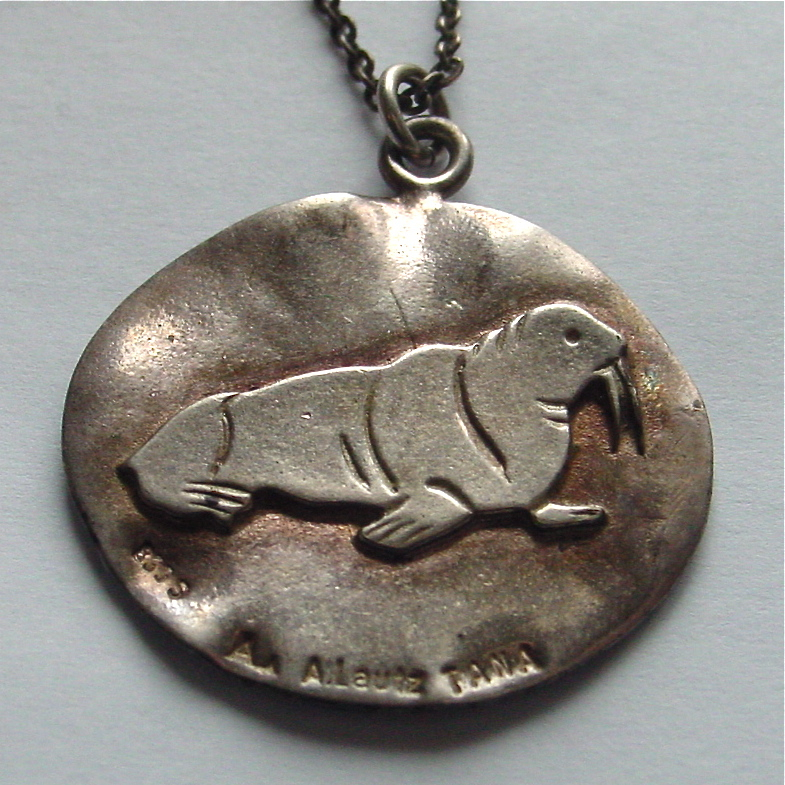 Turn the pendant over and you’ll see a more Western-style walrus! I like the seal side better. I also estimate that this piece is from the late ’80s, but I’m just guessing.